It seems like every direction we turn, we are confronted by data. Companies are flooded with endless streams of information, and it is easy to get lost in the ocean of data. The problem begins with the fact that these organizations base essential corporate decisions on insights from this information - how do you convey the right information in the right way? 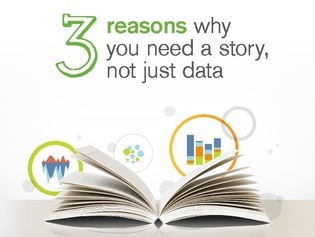 This quick resource discusses the importance of telling a story with your data. Read on to discover how to create an effective narrative with the data available to you, and how this can impact your bottom line.